King Henry’s Walk Garden is an award-winning green space in the Mildmay ward of Islington, created by the local community, for the local community. 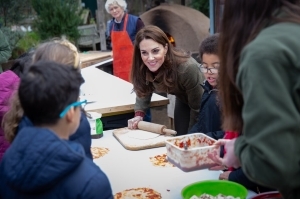 The Friends of King Henry’s Walk Garden were honoured to receive a visit from HRH The Duchess of Cambridge on January 15th to see how the project brings people together through gardening and food growing. 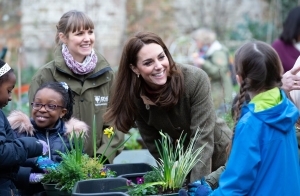 It was also announced that The Duchess will be co-designing the RHS Back to Nature Garden at this year’s Chelsea Flower Show.